Finish carpentry came to be an artistic craft where exactitude is crucial. Interior trim comes in various works including decorative moldings, casings, fine woodworking, and cabinetry. It is used to amplify character and beauty in any room. As it maximizes appeal, your home would surely benefit from the boost in overall value. It is a project worth looking into to bring the most bang to your every home improvement buck. Custom cabinetry isn’t just for your kitchen or bathroom. 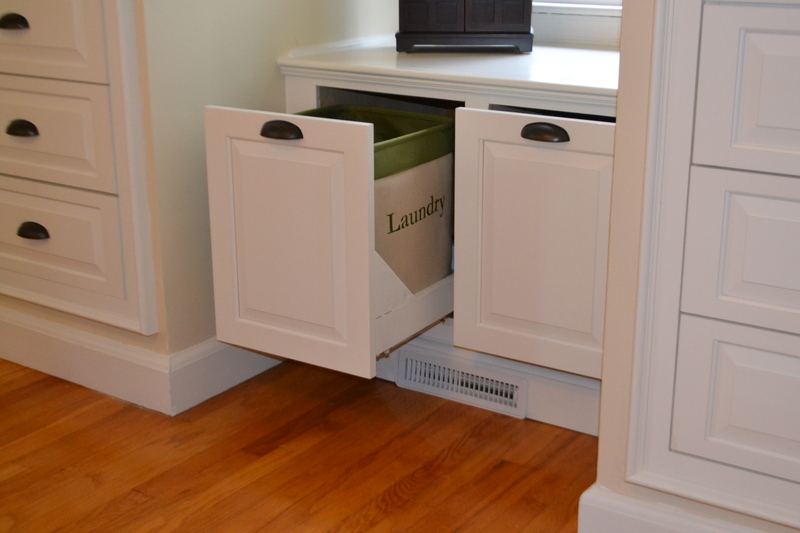 While custom created cabinets and vanities do look great, you can also benefit from built-ins throughout your home. Built-ins are perfect for just about any room. From built-in bookcases in the living room to built in entertainment centers in the family room, Premiere Pros can add the elegance and convenience of custom cabinetry anywhere you’d like. A few ideas include: Built-in bookshelves, wrap a room in beadboard, Entertainment center, Fireplace built-ins, Custom cabinets, Mantels. Premiere can design and install built-ins and storage spaces to suit your personal style and taste. 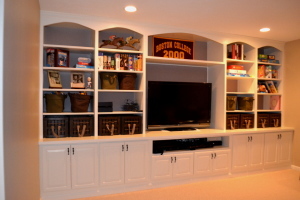 Custom built-ins are very popular in almost every home because of their functionality and storage options. More importantly, they increase the value of your home, if you need storage for placing big items or appliances in your home, but you don’t have the space to keep it. In this case, they can be a solution to your problem. 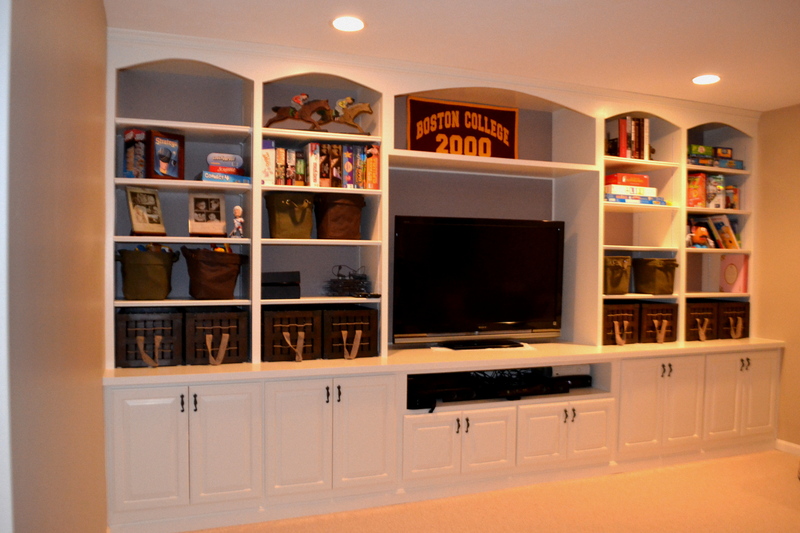 If you need storage for your entertainment system or want storage for other things in the house, custom built-ins are the best option you can have. If you’re considering adding custom cabinets, wall units, or built-ins to your house, contact us today to learn more! Moldings, more popularly known as decorative moldings, can add a touch of classic elegance, modern sophistication or simply put-drama into just any room. 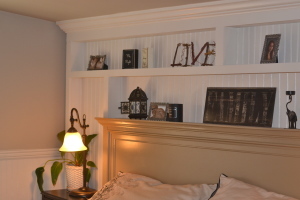 As decorative molding comes in a very wide variety of styles and sizes ranging from stock patterns to custom cuts, shop for a one designed to complement with the overall décor of the room. In a finish carpentry project, even the simplest of molding design can add volumes to the room’s beauty. Call 781.849.0078 for a free consultation.